The PFW Impact Crusher is, also called European impact crusher, very suitable for open-pit crushing in quarries. 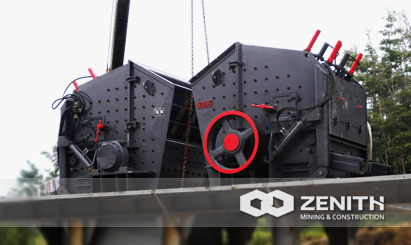 During the process of mining, impact crushers often offer unbeatable performances in the secondary or tertiary crushing. PFW Series Impact Crushers adopts heavy-duty rotor design, unique hammer locking system and interchangeable wearing parts. PFW Series Impact Crushers provide customers low-cost solutions, outstanding performances, good cubical shape, low operation costs and wide applications.